I recently read a fascinating book, The Next 100 Years. The book makes some surprising predictions about the future, some of which are extremely relevant to commercial real estate finance. The author, George Friedman, predicts that the population of the future will migrate from the suburbs to mega-cities, connected with high-speed rail lines. The reason why is because future job growth will take place in areas of large population concentration, where ideas for new products and new companies are exchanged more quickly between budding young entrepreneurs, perhaps meeting at the local bar or bistro. It is interesting to see the CMBS market moving in the same direction. The commercial mortgage-backed securities market essentially disappeared for two years following the crash in 2007. Bond buyers had no appetite for bonds backed by commercial real estate. In the past seven months, however, bond buyers have displayed an increasing appetite for huge CMBS loans, secured by core assets, in primary markets. A core asset is an essential asset for a business, an asset without which a business cannot carry on its main activity. For commercial real estate investors, their core assets are those commercial properties that can be relied upon to stay rented and generate cash flow, even in the severest of recessions. Typically core assets are Class A office buildings, R&D buildings, and retail centers that are leased to very strong tenants. Okay, so we know that CMBS investors want huge loans - ideally larger than $10 million, but at a minimum larger than $5 million - secured by core assets in primary markets. But what is a primary market? As far as commercial real estate finance is concerned, a primary market is a large metropolitan area that consistently generates new enterprises and new jobs. 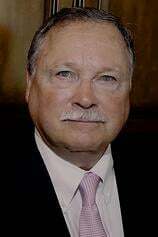 In plain English, its where commercial real estate investors want to be invested. 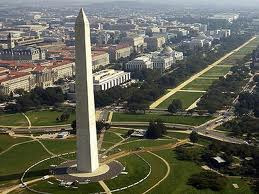 The number one, most desireable, primary market today in the United States is unquestionably Washington, DC. and the surrounding suburbs. The Federal government is a huge employer, and government employment is growing. The next most desirable primary markets are New York City, Boston, Chicago, Los Angeles and San Francisco. Houston, Atlanta, Dallas-Ft. Worth, and San Diego would also be considered primary markets. Las Vegas and Phoenix are greatly out-of-favor with commercial real estate investors today. What is interesting to note is that the mega-cities described in George Friedman's book, The Next 100 Years, are the same ones described as primary markets today by commercial real estate investors. If Mr. Friedman is right, the population of the United States will be migrating to, and concentrating in, these primary markets in search of employment. In a way its counter-intuitive. One might think that the internet and tele-commuting would allow workers to spread out across the country. Great minds, however, are convinced that the incubation of ideas, stemming from workers working in close proximity to each other, will lead to a greater concentration of the population of the future in primary markets, living along mass transit routes. Do you need a conduit loan? You can apply to hundreds of CMBS lenders in just four minutes using C-Loans.com. And C-Loans is free! For over 50 years commercial real estate lenders determined the maximum size of their commercial mortgage loans using the debt service coverage ratio. For example, a commercial lender might insist that the Net Operating Income (NOI) of the property be at least 125% of the proposed annual debt service (loan payments). But then, in the mid-2000's, a problem started to develop. Bonds investors were ravenous for commercial mortgage-backed securities, driving yields way down. As a result, commercial property owners could regularly obtain long-term, fixed rate conduit loans in the range of 6% to 6.75%. At the same time, dozens of conduits were locked in a bitter battle to win conduit loan business. Each promised to advance more dollars than the other. Loan-to-value ratio's crept up from 70% to 75% and then to 80% and then up to 82%! Commercial property investors could achieve a historically huge amount of leverage, while locking in a long-term, fixed-rate loan at a very attractive rate. Not surprisingly, the demand for standard commercial real estate (the four basic food groups - multifamily, office, retail, industrial) soared. Cap rates plummeted, and prices bubbled-up to sky-high levels. When the bubble popped, conduit lenders found that many of their loans were significantly upside down. The borrowers owed far more than the properties were worth.The lenders swore to never let this happen again. The CMBS industry therefore adopted a new financial ratio - the Debt Yield Ratio - to determine the maximum size of their commercial real estate loans. The Debt Yield Ratio is defined as the Net Operating Income (NOI) divided by the first mortgage debt (loan) amount, times 100%. For example, let's say that a commercial property has a NOI of $437,000 per year, and some conduit lender has been asked to make a new first mortgage loan in the amount of $6,000,000. Four-hundred thirty-seven thousand dollars divided by $6,000,000 is .073. Multiplied by 100% produces a Debt Yield Ratio of 7.3%. What this means is that the conduit lender would enjoy a 7.3% cash-on-cash return on its money if it foreclosed on the commercial property on Day One. Please notice that this ratio does not even look at the cap rate used to value the property. It does not consider the interest rate on the commercial lender's loan, nor does it factor in the amortization of the lender's loan; e.g., 20 years versus 25 years. The only factor that the Debt Yield Ratio considers is how large of a loan the commercial lender is advancing compared to the property's NOI. This is intentional. Commercial lenders and CMBS investors want to make sure that low interest rates, low caps rates, and high leverage never again push real estate valuations to sky-high levels. So what is an acceptable Debt Yield Ratio? Ten percent - this is the lowest number that most conduit lenders are using to determine the maximum size of their advances. 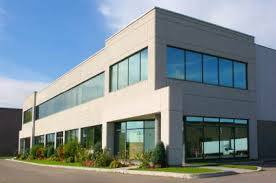 In our example above, the subject commercial property generated a NOI of $437,000. Four-hundred thirty-seven dollars divided by 0.10 (10% expressed as a decimal) would suggest a maximum loan amount of $4,370,000. Typically a Debt Yield Ratio of 10% produces a loan-to-value ratio between 63% and 70%, the maximum level of leverage that the current CMBS B-piece buyers are requiring. It is the money center banks and investment banks originating fixed-rate, conduit-style commercial loans that are using the new Debt Yield Ratio. Commercial banks, lending for their own portfolio, and most other commercial lenders have not yet adopted the Debt Yield Ratio. You will notice in my definition of the Debt Yield Ratio that I used as the "debt" just the first mortgage debt. The reason why I threw in the words first mortgage is because more and more new conduit deals involve a mezzanine loan at the time of origination. The existence of a sizable mezzanine loan behind the first mortgage does NOT affect the size of the conduit's new first mortgage, at least as far as this ratio is concerned. Will conduit's ever accept a Debt Yield ratio of less than 10.0%? Yes, if the property is very attractive, and it is located in a primary market, like Washington, DC; New York; Boston; or Los Angeles - an area where cap rates are exceedingly low (4.5% to 5%) - a conduit lender might consider a Debt Yield as low as 9.0%. Need a commercial mortgage loan right now? You can apply to 750 commercial lenders - including several dozen conduit lenders - in just four minutes using C-Loans.com And C-Loans is free! Before the sub-prime meltdown in late 2007, conduit lenders made about 53% of all commercial loans nationwide by dollar volume. Conduits offered commercial mortgage loans at extremely low, fixed rates - rates almost as low as those offered by life companies. More importantly, conduits would make commercial loans on average quality commercial properties located in secondary locations, like the central business districts of Rust Belt cities. CMBS lenders (conduit lenders) would also regularly make loans up to 75% loan-to-value ... and sometimes even higher. This turned out to be the straw that broke the camel's back. When the sub-prime crisis ignited in 2007, nervous investors dumped commercial mortgage-backed securities at huge discounts. Their concerns proved to be justified as commercial real estate plummeted by 40%. For the past three years, conduit lending dropped to practically nothing.It was as if the entire industry was nuked off the face of the planet. I am pleased to announce that conduit lending is back! Major banks with CMBS loan departments are now making conduit loans again. These are long-term (10 year), fixed rate loans in the noise range of 5.25% to 5.5%. The typical loan is between 65% and 70% loan-to-value. Most of these banks are holding these conduit-style loans in portfolio, but with a serious eye towards securitization. Several CMBS pools have already gone to market. The bonds sold quite well. These were small pools, however. The pools were around $600 million to $700 million. Prior to the crash in 2007, some CMBS offerings were close to $1.5 billion in size. The sale of commercial mortgage-backed securities depends on the appetite of the B-piece buyers, the go-go guys who buy the riskiest bonds in an offering - those that are unrated. In the 2007 downturn, a great many of the B-piece buyers were completely wiped out. Therefore it was surprising to see a fairly strong market for B-pieces develop early this year. Of course, CMBS loan today are much more conservative. The loan-to-value ratios for CMBS loans have fallen from 75% to 80% all the way down to 60% to 70%. This makes the B-piece much more attractive. How can commercial property owners get by with a conduit loan of just 62% LTV based on today's already-depressed commercial property values? Many new conduit loans are being written with mezzanine loans at the time of origination, taking the combined loan-to-value ratio up to 75% to 78%. Banks and conduits throughout the nation are on a hiring binge. A number of the major banks already have a fairly sizable pipeline of deals. Need a conduit loan right now? You can submit your deal to scores of hungry CMBS lenders in just four minutes using C-Loans.com.